Crowdfunding is the art of funding a venture or project by raising many small but gradual amounts of money from many people via the internet. Crowdfunding is a relatively new concept in the world. However, the concept is gaining numerous publicity online. Many think that crowdfunding represents a new dawn for small and start-up projects. Apart from funding businesses crowdfunding can also fund adventure. How so? Crowdfunding funds mission trips and travels around the world. If you are a travelling enthusiast crowd fund gives you the perfect opportunity to go to places, inspire people and make memories. So how does crowdfund work? Crowdfunding campaigns are funded by the public, instead of the ancient investors. Technically successful projects are in a position to receive an average of 30% of their total revenue needs from their third, second and first degrees of connections. Crowdfunding platforms come in as third generation connections and in most instances are the greatest contributors to this percentage. 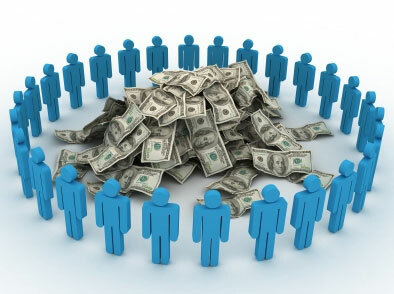 It is often believed that creating a successful crowdfunding campaign is easy. People have misconceived the process as just submitting and waiting to go viral. In as much as this has been the case to some brands, a vast majority of brands and projects require major efforts from the project creator. For a crowd fund platform to fund they must feel that they can connect to the purpose of your project. That it tops the priority ranks. Platforms will want to connect to the physical aspects of the campaign for example its rewards. Also, platforms are in search of creative displays of your project campaign. This motivates them to funding. If you are looking up to crowdfunding to fund your mission travel the first step should be making use of social media. Publicity is key if you are to have a successful cause. Remember that social media is not a platform to ask for hand-outs. This is a platform to build you as a brand and enable you to reach out to crowdfunding platforms. According to a recent release by Forbes, tips to successful crowdfunding social media represent a formidable way to gain publicity for a successful crowd fund. Plumfund is an example of a crowdfunding platform. It was established in 2006 and it provides funds to people as well as receiving donations. It funds an array of projects, for example travel funds. Among the funds under this category are anniversary travel, birthday trips, graduation trips, mission trips, once-in-a-lifetime adventures, bachelor/bachelorette, and baby moons parties. Thirdly you are in a position to receive funds for free through PayPal, cheques and cash. Crowdfunding is quickly becoming a viable option for business projects with crowdfunding platforms are also becoming more popular. Individuals invest only because they can connect with the campaign. Rewards can be in form of acknowledgements, free gifts, regular news updates, events tickets and an alum cover. The returns may not be necessarily tangible; they can be intangible. Donors are motivated personally to putting their money and expecting zero returns. Travelling and adventure is on the to-do list of most of us. However, sometimes the desire to travel does not match up with the finances at our disposal. Crowd fund has come to the rescue though; with a simple campaign one can obtain donors and travel around the world. You no longer have to stay put; start your crowd fund campaign today and you will have a chance to fulfil your adventure.